12 Totowa bus to Paterson with you. 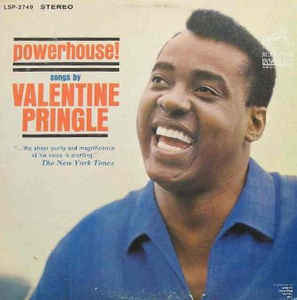 I didn’t remember Valentine Pringle’s name, but as soon as i heard “The Mouse Song,” it was familiar. Whether I saw it performed on television, or heard it on radio, I can’t say, but it’s one of those that, once heard, lingers in the back of the mind ready to be recalled. I laughed at something I found in comments appended to one of the YouTube videos. A woman who used to hear him at a club in Toronto (I believe) said that when articles about the well-known club were written, Pringle’s name never was included. 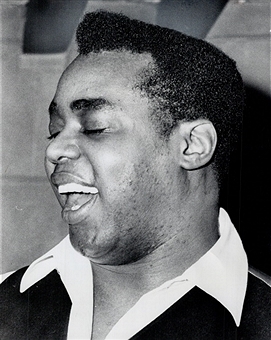 He wasn’t that he was black — it’s that he wasn’t Canadian. I was profoundly sad at hearing of Val Pringle’s demise in such an awful manner. I was his piano accompanist during his first visit to Southern Africa, when he was booked by the Don Hughes Organisation to perform on the Botswana/Lesotho cabaret circuit. 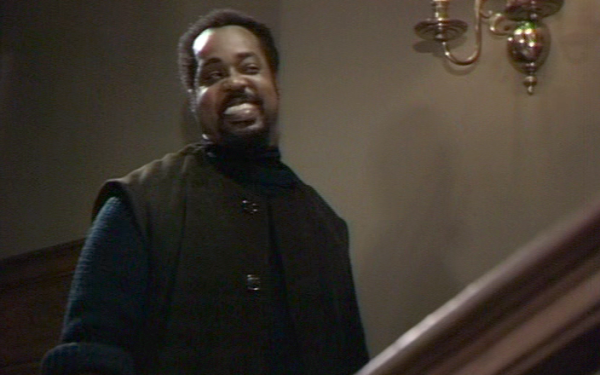 He was incredible, and in my estimation his performance “Ol’ Man River” rivalled that of Paul Robeson. He had an incredible voice, and I am very very sorry that we never recorded the works he sang during that tour! Thanks for sharing that. I have both of Val Pringle’s albums on vinyl and the one that has been made available as a CD. He was an incomparable singer. His death was so unfair and a terrible loss.